My mom asked me to help her find a gift for a bridal shower she was going to. She loves the idea of baskets, but doesn’t really put them together herself. So she asked me to help her figure out what to get, then make it pretty. 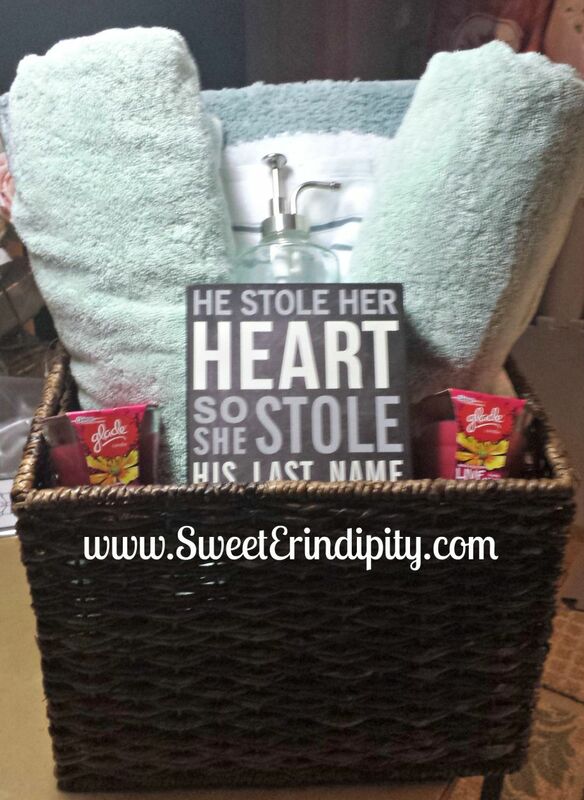 We chose some great items from the registry – bath towels, a basket, a bath rug, lotion/soap dispenser, and wash cloths. 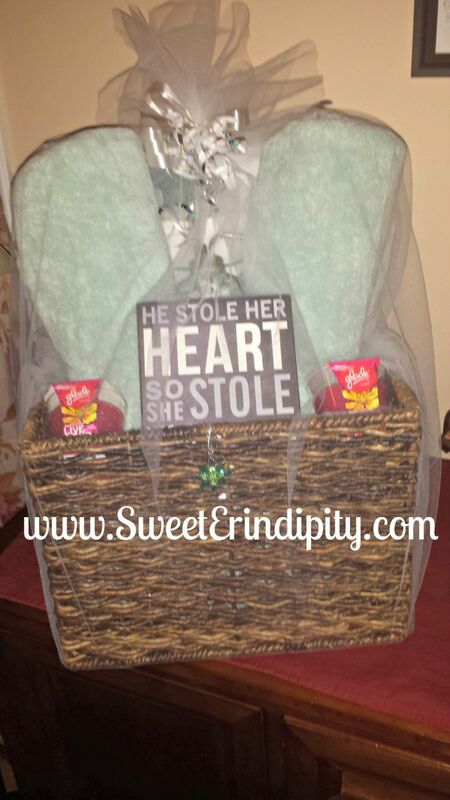 We wanted to liven up the basket a bit though since it was a lot of the same colors. So we found the Glade candles and a cute sign to add. I had a small ornament from my Bath and Body Works days in my craft bin and added that as a small touch. Then I added the finishing touches by wrapping it in tulle and topping it off with sparkly ribbon. What do you think?